Happy Easter everyone, please take a moment to stop gorging on chocolate eggs to be inspired by this months beautiful real wedding photographed by Sarah Vaughan. 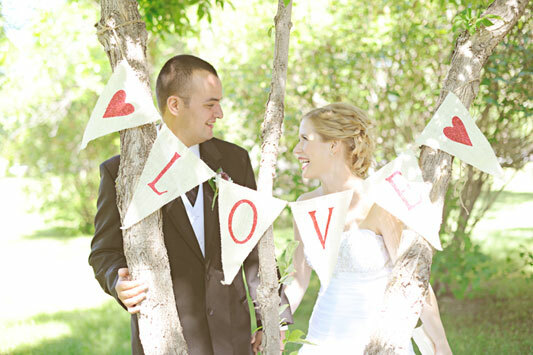 Sheena and Dan's big day at Heritage Park mixed garden glam with all the fun of the fair. And hey, they even had a bunny show up! 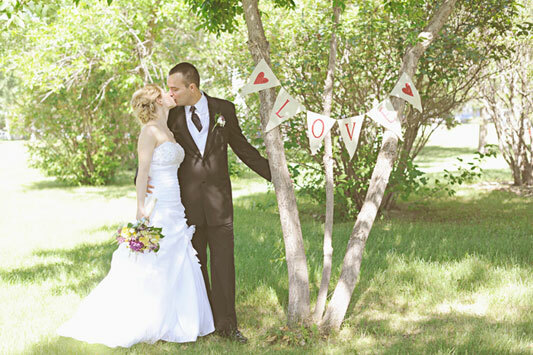 The gardens of this historical village in Alberta, Canada, provided the perfect setting for a pretty outdoor ceremony. Moving indoors for the reception and some rustic charm. Guests seating was displayed on a faux chalkboard chart from 'i do' it yourself, while a gift of home made jam from Sheena and Dan was waiting at each place setting. If the huge selection of pies and cakes didn't keep guests busy enough, there were even rides outside! Not too much cake before those bumper cars though I hope.